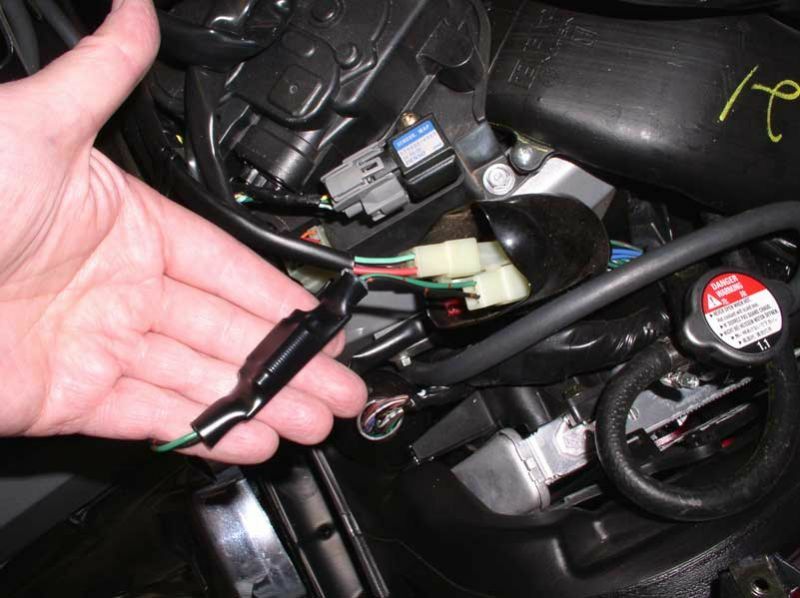 This shows the noise filter for the cooling fans being installed on the right side of the bike. Thank you for the detailed look at what we needed to find for the front 2 filters. Thanks for the helpful photo's and suggestions. They really made the install more simple than originally expected.